Bernard Rix, CoPaCC Chief Executive and Publisher of Policing Insight, provides details of ten more OPCCs recognised today for meeting their statutory requirements on openness and transparency. 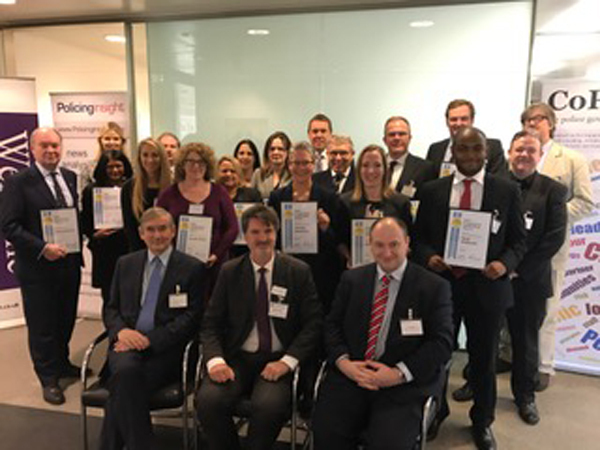 Late last month, PCCs, their Chief Executives and representatives from their offices gathered for a presentation of this year’s CoPaCC OPCC Transparency Quality Marks. CoPaCC first reviewed PCCs’ ability to meet their statutory transparency responsibilities one year after the first PCC elections, with a CoPaCC Thematic published in November 2013. As CoPaCC’s Chief Executive, I subsequently gave evidence on our Thematic’s findings to the Home Affairs Select Committee, where the Chair of the Committee suggested that CoPaCC might act as “a national register that just collates all this information together”. This year’s presentations were hosted by the leading police assurance provider Grant Thornton. Amongst other speakers, attendees heard from Richard Thomas, a Member of the Committee on Standards in Public Life. A transcript of Richard Thomas’s presentation, in which he expressed Committee concerns about some policing standards, and about some measures in the Policing and Crime Bill, is now available here. Richard also highlighted nine PCCs who the Committee were concerned to report had not yet signed up to the Committee’s Ethical Checklist. A number of Offices of Police and Crime Commissioners (OPCCs) were unable to be represented at the presentation last month, and were not therefore included on the original list of OPCCs being awarded the CoPaCC “OPCC Transparency” Quality Mark for 2016/17. We are today adding those OPCCs unable to attend the presentation to our list of 2016/17 Quality Mark recipients. Each year, CoPaCC invites each OPCC to provide us with details of how it meets the current statutory transparency requirements. We then undertake our analysis of the material we receive, along with our own desk research, and publish the results. Our original November 2013 Thematic sought information from OPCCs through a formal Freedom of Information request – the only time that CoPaCC or Policing Insight has ever used an FoI. Since then, we have deliberately NOT used FoIs to gather this type of information, as we recognise that FoIs create an additional – and, in this case, entirely unnecessary – burden on recipients. For my part, these OPCCs have all demonstrated that they are transparent in what they do, meeting relevant legal requirements. They present key information in an accessible format on their websites and I congratulate them all on their good work. I look forward to what I trust will be continued excellent work by each and every one of them in this area. 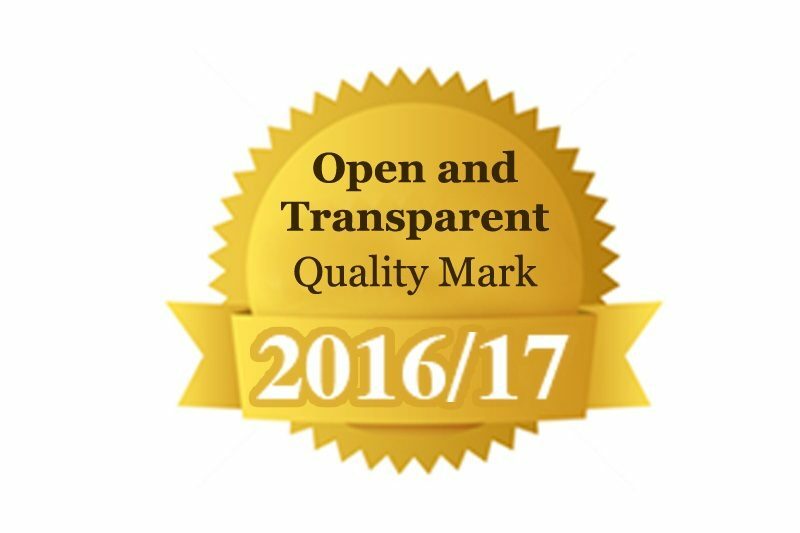 OPCCs who are not included on the lists above but who wish to be considered for the CoPaCC “OPCC Transparency” Quality Mark 2016/17 should contact CoPaCC without delay. In addition, there were a number of OPCCs who previously provided CoPaCC with details of how they believed they met the current statutory transparency requirements but who failed to meet the required standards: these OPCCs should also contact CoPaCC for further consideration, once they have made the appropriate improvements to their transparency arrangements.